We are very excited to share with you the latest product information related to the new Highlights and Notes functionality and content updates to Kids InfoBits – part of NMSL’s El Portal service. A step-by-step guide to using Highlights and Notes (as depicted within GVRL). This valuable tool allows users to highlight text within an article (using various colors), add notes to highlighted sections, and retrieve/utilize them in a repository within the product. 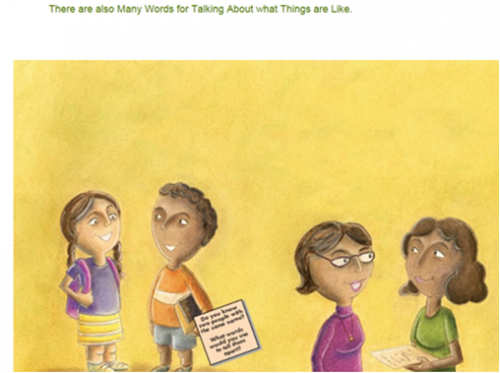 Lists of new entries and titles in Kids InfoBits, as well as sample screen shots. As always, check out El Portal and be sure to promote use within your library to your patrons! As eBooks and digital resources have become more popular, a problem has presented itself: how can a user easily take notes without opening a separate program? Gale has found the solution with our new Highlights and Notes tool, scheduled to launch on or around Tuesday, September 30, in GVRL, Opposing Viewpoints in Context and InfoTrac. 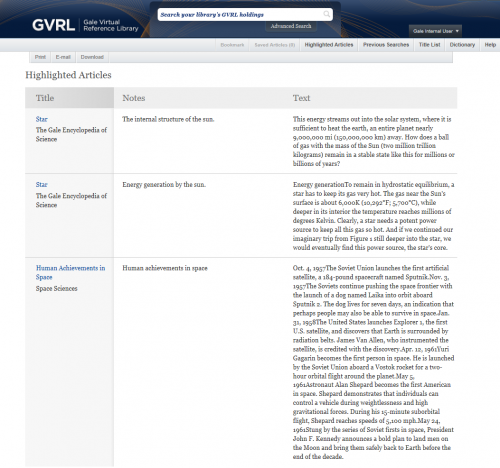 The new tool allows users of the digital resources listed above to select text from an eBook or article, highlight the important sections, add their own notes, and save it to a new “Highlighted Articles” page where it can be accessed or exported, during each user’s session (no user account required). Below is a step-by-step guide to using the Highlights and Notes tool. 1. Select the text you’d like to save, and then click Highlight. 2. Assign a color to the highlighted text. There are six options. 4. 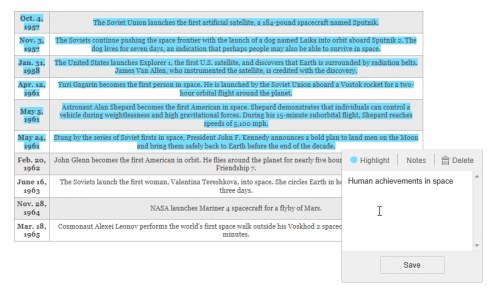 Keep your highlighted sections organized by using different colors for each publication, resource, or article. 5. To view all of your highlighted sections, click the Highlights and Notes button. 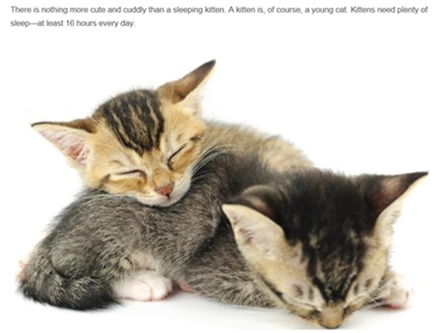 The Encyclopedia Britannica Elementary Collection – 63 eBooks from Encyclopedia Britannica now appear in Kids InfoBits. 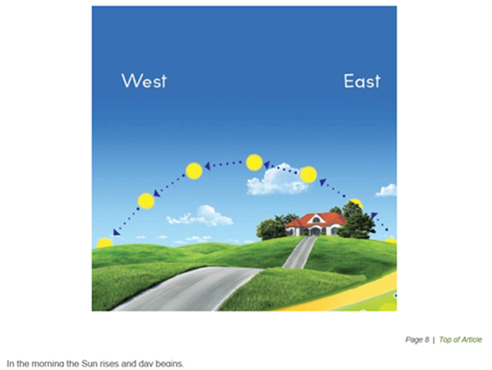 These titles are very visual – lots of images and simple text — and are geared toward lower elementary students (K-3). See screenshots below for examples. Topics are wide-ranging as indicated by the representative list of titles below. Most are dated 2013 with a few dated 2008. These titles have been added to the KIB reference title list, which is currently being loaded to the Resources section of the Cengage website. Finally, note that selections from the Encyclopedia Britannica Student Encyclopedia are currently being processed and will appear in KIB in the next month or so. o What Is It Made of?